A friend and I recently ascended Chembra Peak. A few photos from our trek. 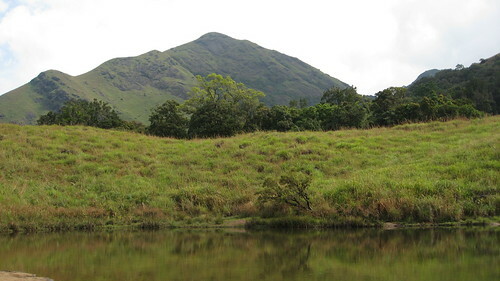 A view of Chembra Peak (the one in the distance) from the banks of the heart-shaped lake, half-way up the mountain. This view is deceiving because there are three mini-peaks (can’t be seen from this viewpoint) to climb up before you ascend the final peak. 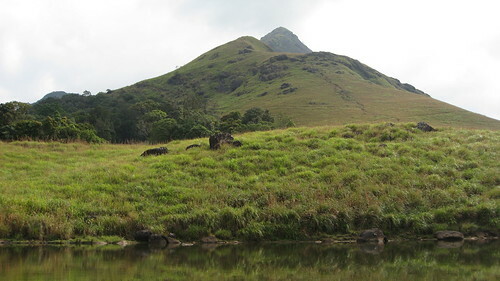 The real climb begins from here — most who visit Chembra Peak return back from this point. I’d recommend that you watch the below photoset in full screen mode. These photos don’t justify the sheer scale of Nature out here. You have to experience it by being there. Again from the heart-shaped lake, but looking to the left of Chembra Peak.